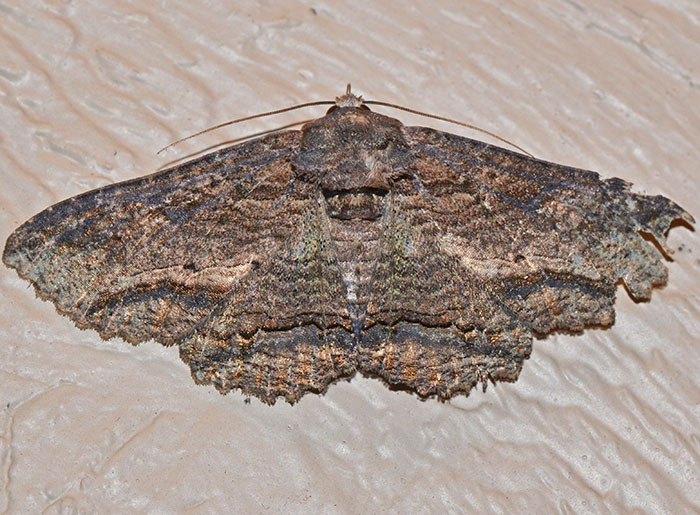 Zale lunata - Hodges#8689 (Lunate Zale). A fairly large, very rugged looking moth. The wingspan varies between 40 and 55 mm. The brownish wings are quite variable in color details and patterns. The larvae feed on deciduous trees such as maples and willows.